Reflections On Managing Diabetes In Daily Life/ Sensor Applications | Life, Sport and Diabetes - An everyday look at my life with type 1 diabetes. Before visiting the wedding fayre at St Fagans Museum we also had a long walk around the grounds. It was quite a bleak rainy day and at first it looked like there might not be much nature on show. However, it was a really exciting time to discover the outdoors, because the weather/ season has been quite muddled over the Winter. So there were signs of Spring like cherry blossoms forming in the gardens of the grounds. But there were also signs of Winter with holly bushes everywhere along with snowdrops in full bloom too. Over the past few months I've realised that I really enjoy walking and also nature photography. Which might seem like a really strange thing to say, especially for an athlete because I'm so used to fitness and physical activity. But the thing is, outside of planned exercise I've struggled on occasion, for quite some time to prevent hypos with my diabetes during periods of continuous activity such as walking. Probably due to the amount of exercise I do, I found that whenever I was walking for an extended amount of time, when I wasn't expecting to be. Which is exactly the case when you just go on a wander somewhere. Then I would find myself hypo and have to stop what I was doing, which is quite sad really because I was missing out on activities that I enjoy. What's made me realise all this and what has solved the problem for me, is being on the Enlite sensors for my MiniMed 640g pump and there are two big reasons why they help. The first is prediction, by which I mean that the sensor is able to predict ahead of time that my blood glucose levels are dropping too quickly and suspend the pump if necessary. This is important because if I was to suspend the pump myself in real time, as soon as my BG started dropping, and this is something that I've tried, then it's too late and the low is already underway. The second reason they're so important is their suspend ability, the sensors are able to suspend my insulin delivery (with notifications) and kick back in when glucose levels are back in the safe range. If unusually, a hypo should still occur whilst on suspension, the pump will also warn me about that too. 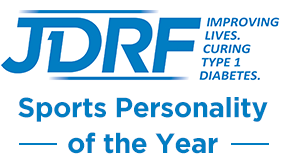 The piece of mind that this system has given me has been quite remarkable and has enabled me to reflect on despite my sporting achievements, how much I was missing out on from concerns about diabetes and hypos. And the pictures are evidence of just some of the things that I might not have seen if technology wasn't helping me to get on with life without worry.